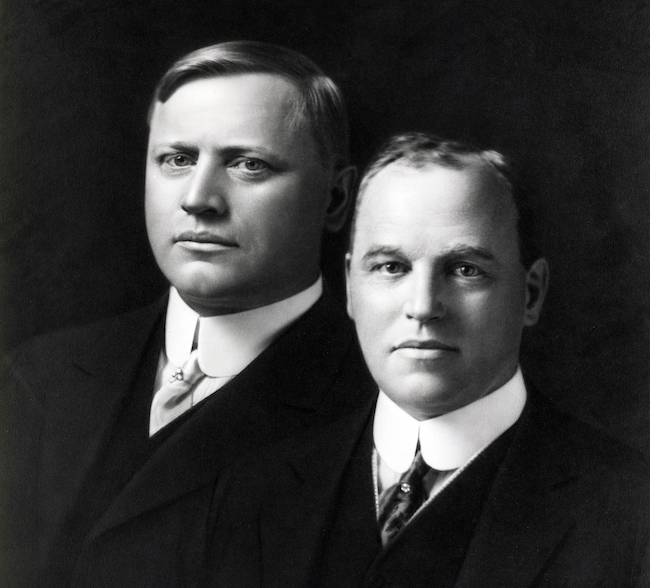 John and Horace Dodge were infamous for their boisterous attitude, penchant for violence and love for the drink. Charles K. Hyde’s biographical look at the men’s lives, ‘The Dodge Brothers: The Men, the Motor Cars, and the Legacy’, provides a few standout examples of their troublemaking ways, including an instance in which they drunkenly beat a prominent Detroit attorney who had wooden legs with his own cane. The book was recently referenced by Jalopnik in a fascinating deep-dive into the the Dodge Brother’s rise to prominence and their eventual demise, which paints interesting portraits of both the Dodge Brothers and Henry Ford. Knowing the Dodge brothers, it comes as little surprise that they also once sued Henry Ford just a day after attending Edsel Ford‘s wedding, Jalopnik’s article indicates. The brothers had met Ford nearly 15 years prior and played a major role in launching the his fledgling career as an engineer and entrepreneur, which until then had been going rather poorly. His first car had failed to make him any money and his second project, the Detroit Automobile Company, dissolved in 1901 after spending a few short years producing rather low-quality vehicles. 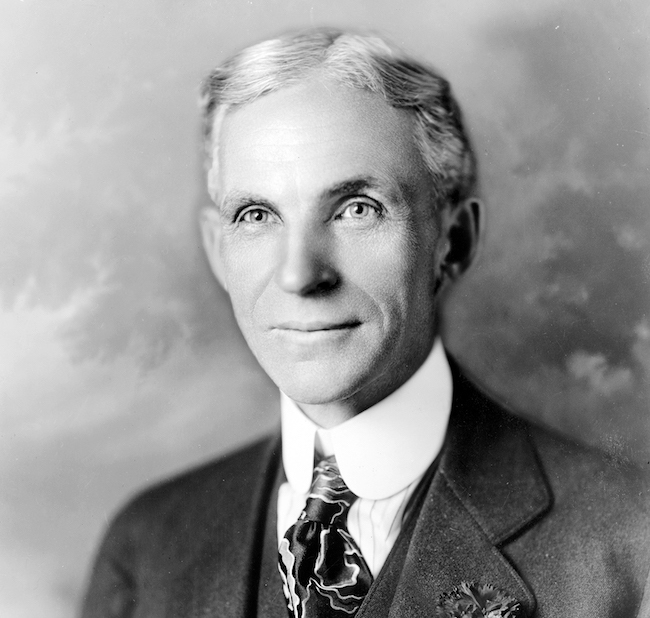 Ford didn’t turn into the successful industrial magnate most know him for today until John and Horace came along in 1903. The two Brothers, who were successful automotive machinists, agreed to build the parts for Ford’s new vehicle, the original 1903-1904 Model A. In exchange, Ford would have to give them a 10 percent stake in his company. Additionally, if the company were to fail, he would have to give them rights to the entire company. The company didn’t fail, obviously. The Model A made Ford enough money to bankroll the development and production of the famous 1908 Model T and was making money hand over fist when he decided to stop paying his shareholders special dividends in 1916. Ford wanted to keep the money to help reinvest in new plants, raise worker’s wages and to further lower the price of the already affordable Model T. The Dodge Brothers sued Ford after happily attending his son Edsel’s wedding just one day prior. The court eventually ruled in the Dodges’ favor, telling Ford that it must work in the best interest of its shareholders and could not operate as a “charity” – lowering car prices and raising salaries at the detriment of stockholders both large and small. John Dodge fell ill with the Spanish Flu (or H1N1) after attending the 1919 New York Auto Show and later died in his hotel suite. Horace also caught the virus and remained ill for months, even moving to Florida in an attempt to shake the flu, Jalopnik reports. But with his body punished after years of heavy drinking, he succumbed to his illnesses less than a year after his brother’s death. Jalopnik’s article is worth checking out for further reading on the Dodge v. Ford case. Hyde’s book, which we also have to thank Jalopnik for pointing us toward, can also be read in full through Google Books right here.